with both of my foots. in case there’s a bit of bovver. on office and factory floors respectively. of the ultimate in utilitarianism. is an act of futilitarianism. k yboard was brok n.
h f lt lik a j rk. So h ask d louis . Sh was ag r to pl as . Sh was th b ‘s kn s.
without need of a warder. he’d gladly eat her for tea. or had some other admirer? in his heart; he desired her. and would think of her hourly. she might come with a dowry. but rather falling in love. The last known photograph of Trevor Bilston, taken just minutes before he spontaneously combusted. Pele, Puskas, Best, Cruyff, Maradona, Messi, Bilston; the names of the beautiful game’s most beautiful exponents trip from the tongue with a reassuring readiness, a revered roll-call of ever-presents across a hundred silverwared seasons of schoolboy dreams. But there is one name on that list which, for many, remains a riddle wrapped up in a mystery inside an enigma which has been inserted into a conundrum buried underneath a puzzle which, to its own surprise, has found itself wrapped up in a riddle totally different from the first riddle which I talked about at the beginning of this sentence. For, had it not been for his premature death at the age of nineteen, from spontaneous combustion, Trevor Bilston would have been, perhaps, the greatest of them all. It was no surprise that Trevor was to grow up to ply his trade as a professional footballer. His mother, Winifred, guessed that would be his destiny before he had even emerged out of her metaphorical tunnel; for her womb seemed nothing more than a stadium in which the embryonic Trevor could hone his basic skills. The regular kicks were one thing but, as the months wore on, it felt as if Trevor’s repertoire of tricks was growing: headers, bicycle kicks, tackling, even throw-ins. When he did finally enter the world, on 30 July 1945, swiftly followed by the afterbirth (also 30 July 1946), Winifred was to find that he had run the placenta-back ragged. Trevor found himself born into a family large enough to field a few football teams itself. He was the twenty-ninth of thirty-two children that Winifred was to bear (although if truth be told, she actually only could bear three of them – Clarence, Cedric and Shaznay) and it was this busy, bustling environment which surely nurtured in him his strong competitive streak. He was to win his first Plimsbury Competitive Streak at the mere age of three, fighting off stiff competition from Archibald Proctor, the village blacksmith, and then won the race for the next six years before the necessities of schooling intervened. Years later, much would be made of Trevor Bilston’s educated left foot and not without good reason. At the age of nine, it left the Bilston homestead of Bleakstone Hall, having received a junior scholarship to study music at the Sorbonne. Trevor’s right foot, along with the rest of him, became enrolled at local Plimsbury Grammar School, where he was to enjoy a solid if somewhat perfunctory education. His feet were not to be reunited for four years. It was shortly after this pedal reconciliation that Trevor Bilston brought himself to the attention of local scouts. Plimsbury Grammar were drawn against public school, Cholmondeley College, in a regional cup competition. The Chummies, as they were known, were a formidable outfit with an impressive tradition, having seen no fewer than twelve pre-war England captains come through their ranks, including such amateur greats as Pongo Liddell and Walter S. Harbinger. But that day saw an unlikely narrow 1-0 victory for the Plimsbury team, powered by a masterful performance in the middle of the park from Bilston. It was a performance made all the more remarkable by the fact that Bilston did not touch the ball once during that game (in fact, he was only to touch a football once in the whole of his career). But such was the doggedness of his general play, the continual cajoling, closing down, pressing and pressuring, combined with the occasional mild threat of thuggery, it was Bilston and Plimsbury who prevailed. When Arthur Newbold had stepped through the doors of Dudley Albion in 1959, he found a club in turmoil. Lying bottom of Bird’s Custard League Division Four and without a win for six years, Dudley Albion were at an all-time low. The players were inept, decrepit and disinterested, the backroom staff were disept, increpit and deinterested, and the fans de-ept, discrepit and ininterested. Even the famous Dainty Park, home to many memorable league and cup clashes down the decades (and, incidentally, the only football ground with a haberdashery on every corner) was in a state of disrepair. Attendances had dropped down into single figures and the legendary Bell End Bellow which had inspired so many stirring Dudley Albion performances over the years, had become reduced to a mere wisp of a wind-carried whisper. But Newbold was not a man to be deterred by such surroundings and quickly set about restoring pride about the place, like a restorer restoring things to a state of restoration*. In the tactics he employed to do this, he was to live up to his name (new and bold, I mean, not the Arthur bit). In particular, he invested in youth. The new squad that he assembled was to have the average age of just fourteen years old – and included players as young as seven. Indeed, some of the squad had been even younger before they signed for the club. Many of “Newbold’s Nestlings” were to go on to achieve recognition way beyond Dudley itself, stretching far into the neighbouring Sandwell area; exciting centre-wing-side-forward Owen Quincy-Jones, flamboyant custodian Kenny Chigwell, enigmatic engine-room stoker Len Pastry, overlapping substitute Billy Laces and, of course, libertarian left-back Bobby Birtles. Dudley Albion skipper Len Pastry stares at the goalpost whilst the game continues around him. Perhaps Newbold’s master-stroke, though, was the signing of the mercurial flanksman, Leighton Buzzard, on a free transfer from the West Bromwich Building Society. 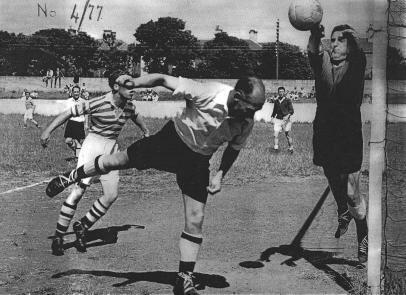 At fifty-eight, many said that his career was on the wane but through a combination of Newbold’s tactical astuteness, Buzzard’s own innate ability to kick a football roughly in the direction he intended, and a series of brylcreem-related bonuses, these years were to prove the crowning moment of Leighton Buzzard’s career. Results improved quickly and dramatically. Just fifteen games into Newbold’s tenure, Dudley Albion were able to carve out a draw at home to Cannock Ladies, followed by maximum points away to Stourbridge Academicals in a game which was to see Bobby Birtles stretchered off with a fractured perm. But in May 1962 there was still one piece of the jigsaw missing. This was a matter of considerable frustration to Newbold, having invested several evenings in the puzzle (it was of Constable’s Haywain), ably assisted by his wife, Marjorie, and, as a consequence, he decided once more to focus on football. It was then that Jimmy O’Grady was to make the call that changed Arthur Newbold’s life – and, indeed, the life of a young, precocious talent called Trevor Bilston. *Note: originally I was going to rewrite this sentence as it seemed there were too many variations on the word “restore” but in the end I retained the original wording because of its undeniable purpose and power. Well, obviously, I’ve gone out there and gone and done a training session with the lads and the gaffer, you know, obviously, the usual kind of thing and then I’ve gone and jogged off the pitch and gone and found my way back to the dressing room, having gone and lit my pipe on the way, obviously. But just as I’m obviously about to go inside, I’ve gone and seen the team sheet on the door, which has only gone and got my name on it! And I’ve gone in that dressing room and I’m obviously over the moon and I’ve gone and got myself changed as I’ve only got to go and see my nan and I’m already thirty minutes late, obviously. Alongside the calm self-assurance that is on display in this early interview with Trevor Bilston, we can also see how quickly the sixteen year old has picked up the lexicography, semantics and syntax of the footballing world: the use of the present perfect tense, the repetition of key archetypal phraseologies such as “obviously” in order to reinforce a shared realism and explicit understanding between speaker and audience, the sequential structure based around a chronological narrative. The centre of the park saw a performance by 17 year old Trevor Bilston which was almost Joycean in its complexity, richness and diversity of thought. He strode around the centre-circle like a modern day Ulysses whom, upon returning from distant lands, surveys his homeland and says “I have come back although I never left. I was here even when I was not. And forever will I be so. For I am as old as the game itself , as old as the grass upon which I tread, as old as the country upon which I stand.” Curiously, Bilston didn’t touch the ball once during the ninety minutes but his presence alone seemed to subdue the Sandwellians; sometimes it is not the deed but the intent that provides the eternal triumph. The only shadow in an otherwise impeccable Dudley Albion performance was my half-time leek and potato soup. Very poor – 4 out of 10. Further victories followed against Rowley Regis Rovers and Tipton Terriers and suddenly the Dudley Albion supporters began to dream of promotion, something they had only achieved once previously in 1916 (when, controversially, they were the only team to continue playing through the First World War and declared themselves champions in lieu of any recognisable competition). Buzzard and Quincy-Jones had begun to find the net with regularity, Chigwell, Birtles and Boot had formed an impenetrable back line, whilst Bilston provided the glamorous glaze to the pasty-faced Pastry in midfield. Leighton Buzzard comes close to scoring for Dudley Albion versus Halesowen Meteors. Trevor Bilston (not pictured) was busy refilling his pipe during this goalmouth scramble. Finally, on 21st April 1964, Dudley Albion had a date with destiny. A point at near neighbours, Smethwick Casuals, would see them secure a place in the the Bird’s Custard League Division Three for the first legitimate time in their history. The game was not going to plan, though, a goal down with three minutes to go and their dreams lay in tatters, like a ribbon emblazoned with the words “Dudley Albion FC”, which has been torn up into tattery shreds and left fluttering in the gloomy goalmouth of despair. But those tattered dreams had not banked upon the presence of Trevor Bilston. 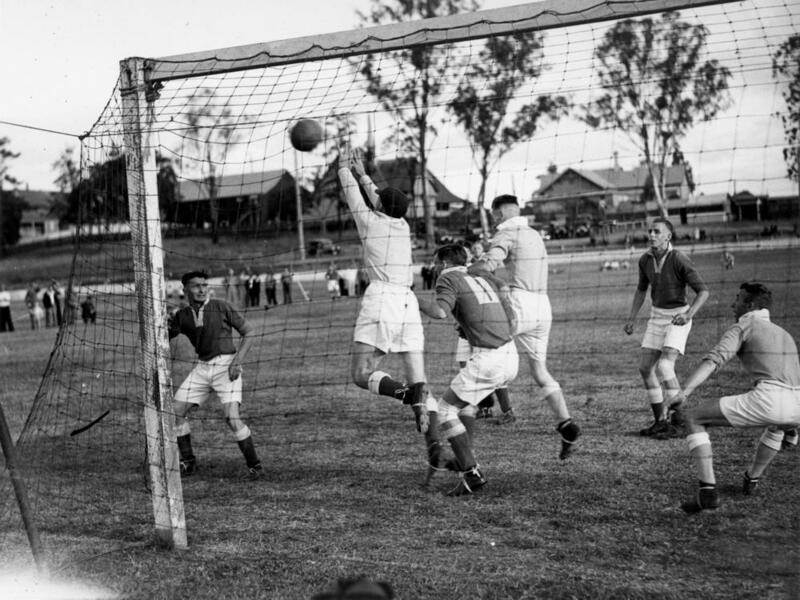 The Smethwick goalkeeper, Alec Diggle, had just collected the ball securely in his hands when he received a look of such psychotic malevolence from Bilston that he had little option other than roll the ball out to the ever-alert Leighton Buzzard who proceeded to toe-poke home the equalizer and, with it, promotion. The final whistle blew shortly after and the twenty-six Dudley Albion supporters ran onto the pitch to greet their heroes and hold them triumphantly aloft upon their Black Country shoulders. The future for Dudley Albion looked bright; a young team full of promise and flair, one of the league’s most innovative managers and, in Trevor Bilston, a talismanic footballing genius. Little did they know that, just nine months later, Bilston would be dead*. Promotion only served to raise the profile of Trevor Bilston further, who came to be a regular feature of the local and slightly-further-afield-than-local-but-still-pretty-local press – and not just for footballing reasons. Like any teenager in the 1960s, Bilston was intent upon having fun and became a stalwart of the Dudley and Sandwell popular music and nightclub scene, for a while becoming known as the “sixth Herman’s Hermit”. The newspapers became full of late night / early morning photos of the young star emerging from salubrious discotheques, a local beauty on each of his arms (he had two in total). He was romantically linked with Miss Wolverhampton, Miss Stourbridge, Miss Walsall and the slightly more aloof Ms Cannock, sometimes all in the same evening. As the new football season ambled its way around the corner of summer boulevard and turned into autumn avenue, Bilston worked hard on his game for the challenges ahead. Despite his undoubted raw talent, some of the more vocal critics of his debut season had berated Bilston for the fact that he never seemed to touch the ball in the course of any game; there were suggestions he might be a flash in the pan, a one-trick wonder, a mere conjurer of cheap footballing tricks. On the training ground, he set about addressing these criticisms and added feints, side-swerves, step-overs, step-unders, shimmies, side-shimmies, side-steps and shimmy-side-step-feints to his armoury, which sat alongside his existing weapons of intimidation and a borderline psychotic thuggery. But it was in a game against Willenhall Wanderers in January 1965 that he first introduced what was to become know as the “Bilston bluff”. When the ball broke loose in the middle of the pitch, Bilston and the experienced Willenhall midfielder Jack Mudgrove advanced towards it. Bilston, though, got to the ball first and unleashed a dummy of such great artifice and illusion that Mudgrove and, indeed, the rest of the Willenhall team had no idea where the ball had disappeared to for the next fifteen minutes. During that period, Dudley Albion racked up six goals without reply with Buzzard, Quincy-Jones and Preedy all adding their names to the scoresheet. An early advertisement featuring Trevor Bilston, feeling confident in his shag choice, with Miss Smethwick 1964. 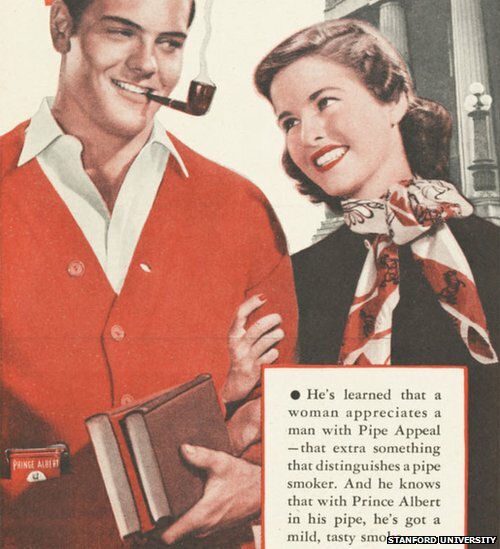 Bilston’s off-the-pitch interests continued to grow and in February he signed a contract worth £1/19/11¾d a week to become the face of Prince Albert pipe tobacco. His pipe was a notable accompaniment on the pitch and Bilston himself favoured the Briar bulldog pipe, which had the durability to see him through ninety minutes of uninterrupted footballing action. Following Bilston’s premature death, aspiring young footballers everywhere were to take up the pipe in homage to their hero and it wasn’t until it was outlawed by Sir Tony Woodcock in 1986 that it came to lose its association with the game. Dudley Albion were having another good season and looked set for their second successive promotion. It was 6th March 1965 and the fixture was a tricky one, away to Tamworth Park Rangers, one of the footballing giants of the time. Bilston was putting in one of his archetypal performances – running, chasing, scrapping, snarling, shimmying, shammying, shillying, shallying, dillying, dallying. The game was poised perfectly at two goals a piece and one more goal would surely be enough to see Dudley Albion up. Life’s perennial substitute, Billy Laces, slowly runs up to take the corner, with a Proustian nonchalance that belies the bench-warming of a thousand numb-filled hours, all remembrances of things now past for this, too, is his moment. The ball makes Euclidean arcs through the tattered Tamworth skies, awaiting the ending of the match and, perhaps, time itself. But how does a thing end? With a bang? With a whimper? Or with a Bilston? A Trevor Bilston. For he sees the ball spinning and turning, like the planet he is barely from and upon which he soon will be no longer, and it is aimed straight at him, a meteorite heading to an appointment with fate. It is a time for Reckoning, for the Truth, for the Great Reveal; no more the spherical avoidance, the global eschewal. The ball lands upon the forelock, the fire burns within him, and he bursts majestically into flames. He is the Footballing Phoenix, he gives his life so the game can continue, renewed, reborn. His team-mates look back from the leathered sphere, which nestles unassumingly in the back of the net, to Bilston No More, and they see his pipe and they see his ashes. But not ashes of tobacco. Ashes of Trevor. The funeral took place five days later. All of the Dudley Albion players, staff and supporters turned out, as did the Bilston family (his siblings outnumbered the Dudley Albion contingent). Prayers were read, bells were rung, and life went on. Dudley Albion, after their season or two in the sunshine, soon returned to their customary level and it was many years before they won a game again; Arthur Newbold continued for two more years but he was a sad and broken man; Leighton Buzzard returned to the West Bromwich Building Society; Len Pastry retired to become a publican; Bobby Birtles was to have a surprise hit in 1968 with the Hungarian Eurovision Song Contest entry Po Po Po Po Po Po Pi Po. N.B.—The body will be cremated and the ashes taken to Dudley. *This is a metaphor. Please substitute the words “days” for “bowl”, “life” for “faithful Briar” and “end” for “run dry” if you struggle to understand my somewhat refined writing style. and she, her rosé-tinted spectacles. It was a chilling dystopiary nightmare.